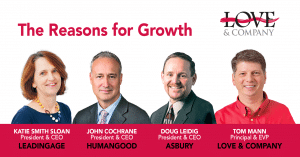 As part of our Love & Company webinar series, our biggest-yet session, “The Reasons for Growth” featured senior living insights from Katie Smith Sloan (CEO of LeadingAge), Doug Leidig (CEO of Asbury) and John Cochrane (CEO of HumanGood). Provided here for your reading is a summary of the question-and-answer session that concluded the webinar, which was coordinated and moderated by Tom Mann, Principal & Chief Marketing Innovation Officer at Love & Company. To watch the entire webinar, simply click here, and to stay in the loop on all of our future webinars and events, sign up for our Leaders’ Board newsletter. John Cochrane: I’ll answer that we’re aligned with Doug’s answer that we don’t subsidize one division of the company from the other. We don’t think that’s a long-term viable or acceptable solution to the markets we serve, and so we too believe they have to be standalone financially stable. The same answer, Medicare, we’re not looking at getting out of that business, but we’re looking how to effectively play in that, so it works for our residents, for those we seek to serve and ultimately that doesn’t bankrupt the company. 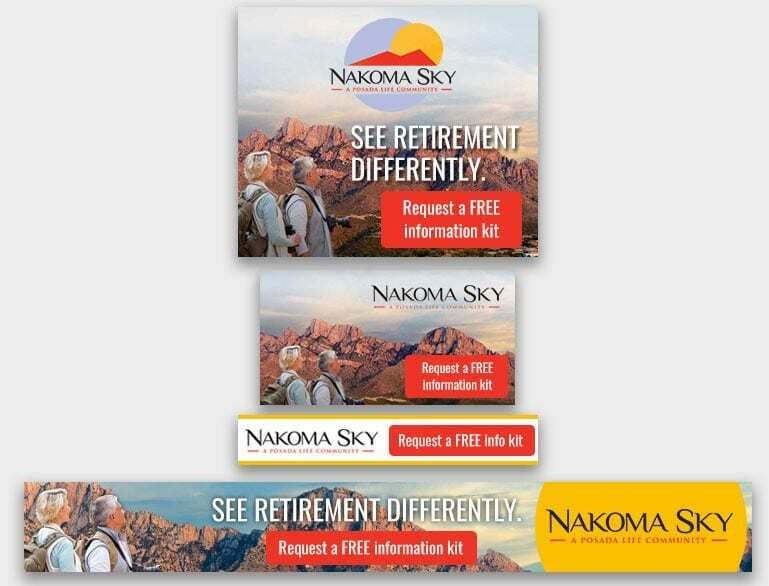 Tom Mann: As an add-on to question #3, are either of you [John Cochrane or Doug Leidig] experimenting with the “Continuing Care Retirement Community Without Walls” model and if so, can you explain in detail? John Cochrane: No, I can once again glom onto Doug’s answer. We’re taking the same approach. 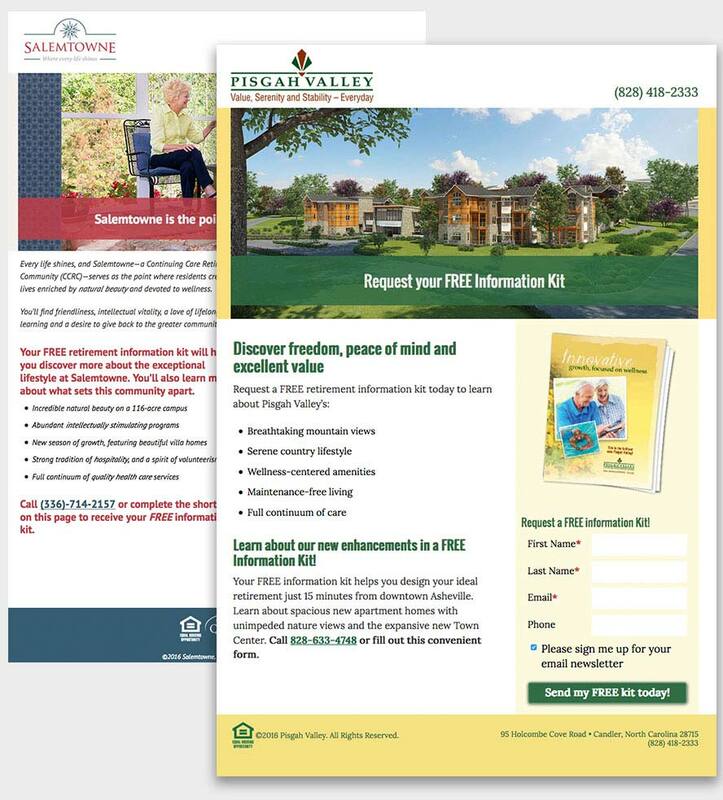 We’re looking at making more porous borders between our retirement communities and the broader market, but we’re not looking at designing a specific product where people would pay a subscription for what you describe as CCRC without walls. We just don’t see the opportunity there for us. We’re taking a very similar approach to Asbury. 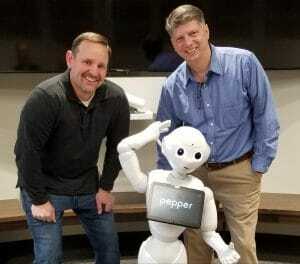 Doug Leidig (Asbury), Tom Mann (Love & Company) and Pepper the Robot. Doug Leidig: Sure. Actually, the great part about that is we didn’t purchase it. When I talk a little about partnering and not having to invest the money, that was through a partnership with Sodexo and looking at AI in the future. Right now, she’s being programmed here at the ASCC, Asbury Support Collaboration Center. She’s gonna be at Bethany in a couple of months and initially it’s going to be around collecting data, integrating and engaging with residents. We’re gonna be able to start collecting questions from visitors and residents about what they’re asking so we know how to better tell our story, so we know better if there’s a product offering that may not be met or how we can better serve the residents. Ultimately, you can take Pepper and have them start collecting data on residents by engaging with them. Sometimes we know residents, through a robot, will be more apt to maybe tell that robot, if that robot asks you how you’re feeling today, if you’re depressed. Well then that triggers, you know we know that a resident is depressed where they may not have told a nursing assistant. We’re not looking at it as a replacement of any staff but it’s an enhancement of the services and one more way to touch the residents. I think there’s worlds of possibilities behind that, but we’re gonna focus on that for probably for the next six to nine months and then see where that can go. Doug Leidig: I think that sort of speaks a little bit when I said I was getting into urban development. That we wouldn’t necessarily having to be buying the buildings. When you look at land ownership, people going into buy buildings and renovating them to whatever segment of the city, there could be an opportunity to potentially buy a floor or two from that person, that developer and make that part of your offering. We haven’t gone as far as segmenting into a poor part of the city or a rich part. It’s just a concept right now but that certainly could be one of the viable options out of urban development. John Cochrane: It’s a great question because I mentioned in my presentation this was a gentrifying area and residents as they saw gentrification upon the horizon, long-term residents wanted to make sure we preserved the local flavor of the community and preserved the affordability of the neighborhood, and so we came in to do partly what you described, which is going in to a much lower income neighborhood and used our development as an anchor for community. What was interesting about the Seattle marketplace and the Beacon Hill marketplace in particular is, because of the employment market in Seattle and what happened with real estate prices, the market gentrified far faster than we could build. Interestingly enough, actually, I think made it even more important that our product was there because we did, in fact, preserve some of the local flavor, preserve some of the local heritage, preserve some affordability. It ended up being a really important project but in a different way than we have at first anticipated. To go back to your original question, would we look at lower income areas of an urban environment and use our development as an anchor for revitalization? I think the short answer is probably yes. I think that would help answer the land cost issue. I think it would help address the affordability question. It’s not necessarily a target for us per se, but I think it may be a tactic for help us offer an affordable product. John Cochrane: I’ll jump in and tell you that that’s a really compelling question and it’s one of our concerns located primarily on the west coast and in some very high cost environments. As we’ve looked at adapting the Plaza Roberto Maestas model to other markets and creating mixed used, intergenerational, mixed income, one of the components we’re looking at is incorporating workforce housing into this. We haven’t solved that question yet, we’re still trying to put the pieces together and see if we can make it work and what the model would look like and are we offering a subsidy, how does that work? But it’s something we’re actively exploring because in many of our communities, the average team member can’t live within an hour commute and that’s just untenable in terms of attracting and retaining staff. Workforce housing is something we are actively looking at as part of the answer to stabilizing the labor market. Doug Leidig: I agree with John. It’s the same concept. It won’t be at every one of our campuses, but certainly we have one or two campuses that the affordability of housing is an issue. Where you run into, is sometimes the states don’t allow you to be that flexible because the way your product or your CCRC is marketed and you try to build something on that campus or external to that campus, so that we have some challenges that sometimes regulations haven’t always caught up to where we want to go as well to really be completely flexible. Again, we haven’t found a solution to that but certainly is on the radar of how could we do that along with you look at the immigration, it’s certainly a significant issue for all of us, and then how do we help that process? John Cochrane: Doug just made a really interesting point and that is that regulation is behind where these models need to go to do the important work that they can do. This is where I think we need some collective resource and assistance to make sure that the regulatory environment catches up with the models that we need to address these challenges and opportunities. Katie Smith Sloan: I would just add that that’s very much on our radar screen as we have pulled together our policy priorities for the coming years. Tom Mann: What’s your best advice with moving forward with innovation while serving today’s population? Many organizations want to innovate but tend to keep projects on the books for a long time until other industries have adopted. How can we as an industry move more quickly to innovate? Katie Smith Sloan: I think some of it is cultural within organizations. Being willing to take some calculated risks, being willing to fail, and recognizing going into any innovation that it might not work, but it’s generally worth the try. I think it’s also really important to just build a culture of innovation within your board, so that they understand, encourage, and value the process of exploration and discovery. But I think you’re hitting on something, which I think is very true of the not-for-profit sector, which is that we often innovate in a vacuum and have trouble figuring out how to take it to scale, or how to take it out into the marketplace so others can adopt, adapt, or replicate. John Cochrane: I would add to that, that I think Katie is right. I think there’s a cultural component that’s absolutely key, and I think there’s a forward-looking commitment that’s absolutely key. One of the actions we just took with our board is to fund a technology investment platform where we’re looking to make a number of investments in early stage companies that we think are strategically aligned with what we’re trying to do, we think can address some of these opportunities and challenges including either workforce or bringing technology to connecting seniors. We’re looking at early stage companies, not just with passive investments but where we can actively … I won’t go quite as broad to say co-create but influence the creation so that what we’ve discovered as we visit with many of these technology startups is that they understand technology extremely well and they understand some of the challenges pretty well. They don’t understand our market very well if at all, and that’s where we think we can add some unique value. Doug Leidig: I think you have to start small. People have a tendency to try to innovate and make this a big thing. I think you have to start with listening to those closest to the process, those who work at the entry level because they have the best ideas on how to innovate and do things better. We committed two years ago to $75,000 investment and we held like a shark tank. As a result, we created an associate app for people who don’t have access to a computer or email out in the field. The idea came up through the ranks and we invested $75,000 and we rolled it out. I think you have to start small, have a few successes. Tom Mann: One of the really smart things your Asbury did in regard to innovation is to really create a new business line structure. Can you talk a little bit about that? Tom Mann: You hire people to lead innovation instead of just throw it on top of the existing pile of stuff that the executive team already has to do. Too many organizations actually just try to handle it within their existing team and it really becomes a bit chaotic and overwhelming to the organization. Tom Mann: Have any of you utilized telemedicine and what has been your experience thus far? John Cochrane: We have not adopted telemedicine in any formal way. Tom Mann: For those of you interested, you can download the PowerPoint and the transcription of “The Reasons For Growth” webinar by clicking here. Again, to watch the full “Reasons for Growth” webinar and see the rest of the insightful webinars we’ve produced, click here. To take the next step in using these insights for your organization, click here or contact Tim Bracken at 410-207-0013.